botox Fareham botox Southampton Hampshire Nu Viva medical aesthetic treatments and training including dermal fillers, Sculptra and dermaroller beauty treatments. 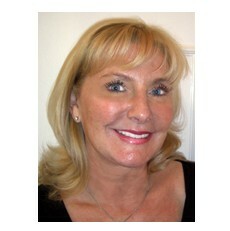 Vivienne trained at Southampton University hospital and has been a qualified registered general nurse for 22 years. She is a highly experienced practitoner and nurse prescriber with the past 10 years have been solely dedicated to medical aesthetics. Vivienne has been involved in the training and setting up clinics thoughout England including many Harley Street doctors, dentists and nurses. At Nu Viva we believe that all clients are individuals and should be treated with care and compassion, ensuring that clients' treatment requirements are met to a high standard of care. 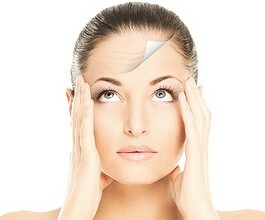 Nu Viva offer consultation on options for wrinkle reduction. Botox is the brand name that has become synonymous with muscle relaxing injections that help smooth facial lines, it is the treatment A-list celebrities swear by and is one of the most affordable and effective non-surgical beauty treatments available. No more worrying about staining your clothes and body odour. No more restrictions on which colours and materials you can wear. This is a surprisingly common problem yet it is under treated because of lack of awareness and its embarrassing nature. Training for Botulinun Toxin and Dermal Fillers - Nu Viva Aesthetics offer a unique one to one training course carried out in the familiar surroundings of your own clinic. You are welcome to contact us for further information before making an appointment and you may download our price list here. "I heard about Vivienne way before I met her...whilst booking my training courses the organiser said that she could put me in touch with a lady who could give me one to one mentoring after I had completed. I was of the mind that once I was done with the courses I would be flying ...wrong! Just doing the courses alone does not give you immediate confidence or immediate technical skills to suit the needs of all the various clients you will encounter as of course every client has different desires/needs. Vivienne has a very friendly but clinical approach to mentoring. She puts you at ease immediately. Guiding you whilst teaching you ....but at the same time she doesn't let the client ever feel that you are not in control... this is unique! When she says 'phone me whenever you want' you know she means it. I am already recommending her to colleagues for after they finish their courses or better than that to train them on a one to one." For medical aesthetic beauty treatments in Fareham and Southampton including, botox, dermal fillers, chemical peels, Sculptra, dermaroller and more.